Here's a superb new online slots game from Elk Studios that you must play. Travel through space and time in this experimental slot game from the ever brilliant Elk Studios. 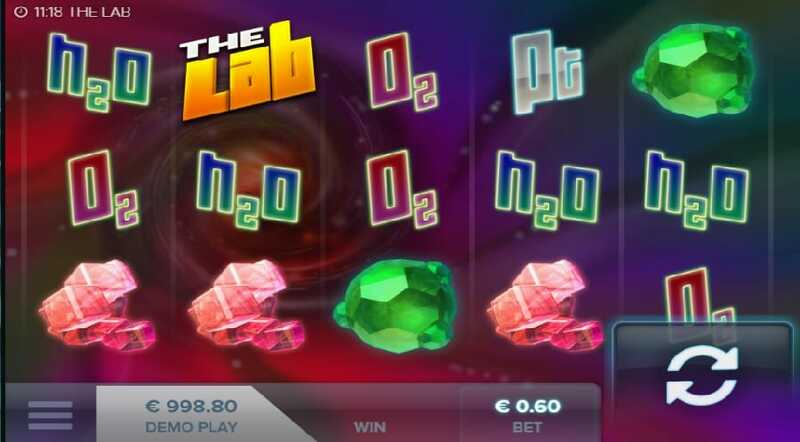 The Lab is a mind-bending, prize-producing online slot that will draw you in through impressive gameplay and outstanding graphics. Perfect for at home or on the go gaming through Android or iOS. Check out our entire list of slot machine game now. Stockholm based Elk Studios have a passion for creating truly beautiful games that not only look great but are a joy to play. They bring characters and scenarios to life through brilliant animations and advanced systems and algorithms. If you love promo's, get the best slot offers today. Science lovers, prepare to enter the vortex - this is an online casino game of epic proportions. Packed with weird and wild chemical formulas, mystery molecules and awesome effects it’s a really unique gaming experience. The Lab has 15 win lines and the stakes start at just 0.15 coins, so it’s up to you to control the stakes. So far so normal, but things take a turn for the unusual when The Labs chemical equations appear. Don’t panic though all you need to do still is find matching symbols and you’re set to win prizes. The symbols are worth different amounts: H20 (Water) is worth up to 30 coins, 02 (Oxygen) up to 40 and Au (Gold) up to 60. Keep your eyes peeled for mystery molecules as these are worth more. The pink cube molecule up to 100 coins, purple cluster up to 200 coins, blue molecules up to 500 coins and the green hexagon molecules are worth up to a pretty impressive 1,000 coins. 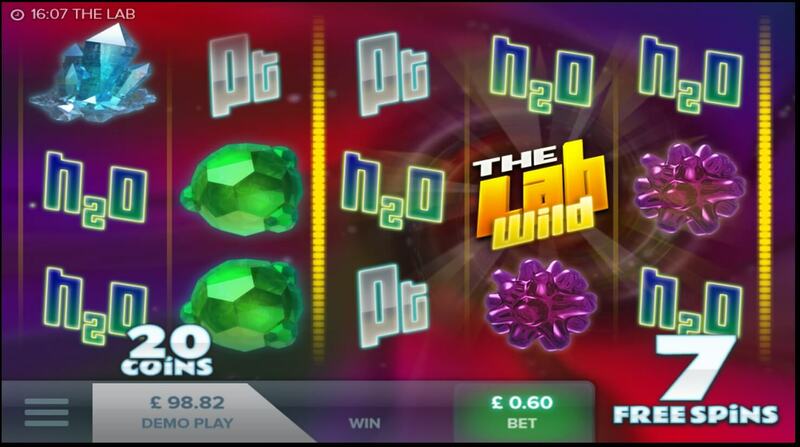 Lab Symbol – If the Lab symbol pops up on reel 2 the Sliding Reels and Free Spins Bonus will come into play. During the Free Spins Bonus, The Labs Wilds and Multipliers can substitute for all other symbols in the game and this creates multiple winning lines. X-Chromosomes – These floating symbols are the scatter symbols and can magically double any paytable prize. This symbol can really boost your winnings so make sure you’re ready for them. As with most online slots the choice of stake is yours and it ranged from 0.15 coins to 90 coins a spin. Where The Lab is a bit different is its 3 inbuilt betting strategies, the Jumper, the Leveller and the Booster which alter your stakes to increase your chances of winning, and winning big.